Modern, edgy, and versatile... 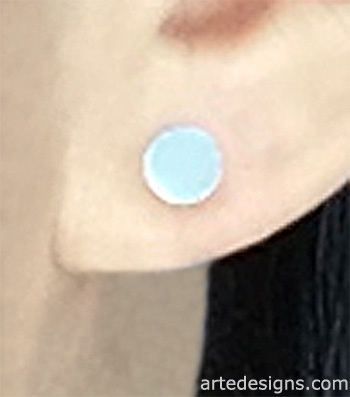 These sterling silver earrings can be worn with just the round flat stud or with an edgy triangle ear jacket. 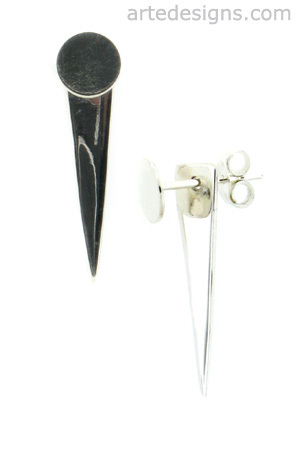 You can also use the triangle ear jacket on other earring studs! 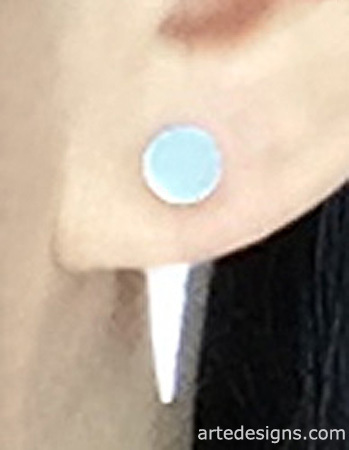 Circle is 6mm. Total earring length is just under 1 inch. Sterling silver.